Dr. Schmitz and his friendly staff are dedicated to providing high quality oral surgery in San Antonio, Texas. As a board certified Oral Surgeon Dr. Schmitz is an expert in his field. Shavano Park Facial Surgery is now accepting new patients. The first step in setting up a new patient consultation is by calling (210) 444-9312. Our knowledgeable staff will be happy to answer any questions and address any concerns so Time is taken during the consultation visit to identify your needs and develop a complete treatment plan with the patient’s concerns in mind. State of the art oral surgery is provided in the comfort of our office in San Antonio, Texas. As a PPO provider on most dental and medical insurance plans attention is paid to verifying and confirming patient’s insurance coverage. We strive to provide affordable pricing for all of our patients while providing quality care. Shavano Park Facial Surgery is locally owned and operated and our friendly, knowledgeable staff is ready to help with all of your oral surgery needs. We are aware patients have many options when choosing their oral surgery providers therefor our staff pays special attention to all aspects of care as well as the patient’s main concerns. We specialize in providing quality care for impacted wisdom teeth, extraction of single teeth, bone-grafting, cyst removal, lesion removals, dental implant placement in addition to jaw reconstruction. Orbital fracture repairs, jaw fractures and zygomatic fracture repairs are all procedures frequently treated by Dr. Schmitz. Conveniently located off of 1604 our office is currently accepting new patients. Call (210) 444-9312 to schedule a consultation with Dr. John P. Schmitz. Dr. Schmitz specializes in the placement of Dental Implants, the All-On-4 Technique for placing Dental Implants, Guided Implant Surgery like Teeth-in-a-Day, Wisdom Teeth Surgery, Jaw Surgery and Facial Cosmetic Surgery. Most importantly, Dr. Schmitz is a Board Certified Oral and Maxillofacial Surgeon and lectures and trains doctors from all over the country on how to successfully perform dental implant and bone-grafting procedures. Click Here to learn more about Dr. Schmitz. Call today to book your consultation with Dr. Schmitz. Dr. John Schmitz is a Preferred Provider (PPO) with most dental and medical insurance plans therefor reducing patient costs. 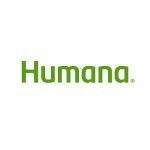 We are happy to work with both medical and dental insurance companies to provide the best option for patients. Upon scheduling your appointment please, provide our staff with the most up to date insurance information on hand. 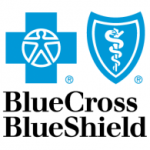 Also, Dr. John P. Schmitz is a preferred provider for Blue Cross Blue Shield’s Federal Employee Program under both the BASIC and STANDARD options in addition to all other BCBS PPO plans. Dr. Schmitz practices the following Oral and Maxillofacial Procedures in San Antonio, Texas: Facial Cosmetic Surgery, Dental Implants, Wisdom Teeth, All-On-4 Technique and Corrective Jaw Surgery.